Sony: Keeping PSN Free on PS4 Would Have Been Too "Hard"
Sony believes the value of a PS Plus membership will outweigh the extra cost gamers will need to pay to play online with the PS4. 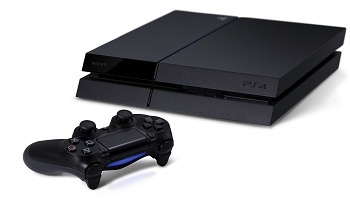 With the impending launch of the PS4 however, the current status quo will become a thing of the past. Online play on the PS4 will require a PS Plus membership, adding a new cost for PlayStation gamers to absorb going into the next console generation. While there are likely some who see this as unfortunate, Sony would insist that it was time for things to change. "There's a ton of value in the network. We've built up the network over the years and made a significant investment... and it's quite honestly hard to keep everything [free]," said Eric Lempel, vice president of Sony Network Entertainment. That said, Lempel believes that bonuses of a PS Plus membership outweigh the extra cost. "The investment in Plus gives the user a ton of value, so putting multiplayer in there will continue to help us build the network up for our users," he said. Lempel was also quick to point out that while the PS4's online multiplayer will be tied to PlayStation Plus, the console's third party apps won't be similarly restricted to subscribers. "We kept everything else free to the user. So for example, we've got 11 partner apps right off the bat," he said. "This is something [Microsoft] isn't doing." Whether or not that will be enough to placate fans used to free online is something we'll have to wait and see.